Down the hill from McLeod Ganj lies the Secretariat of the Tibetan Government in Exile and of course, the residence of his Holiness the Dalai Lama. 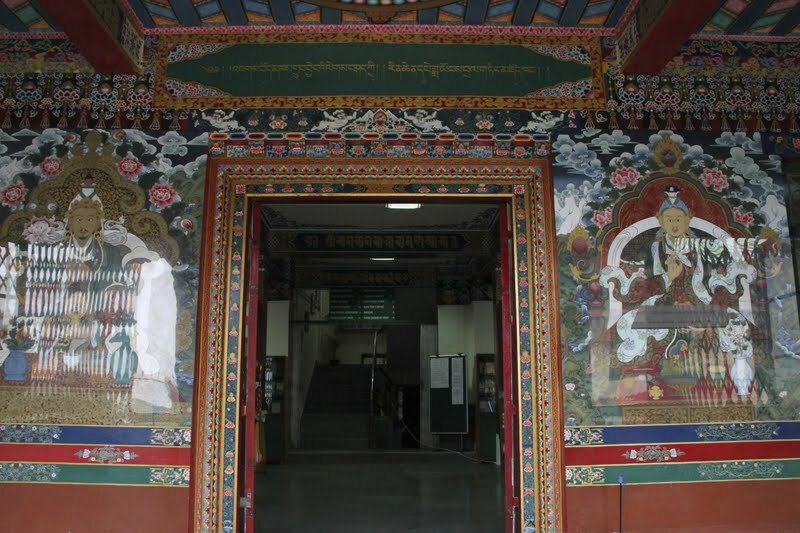 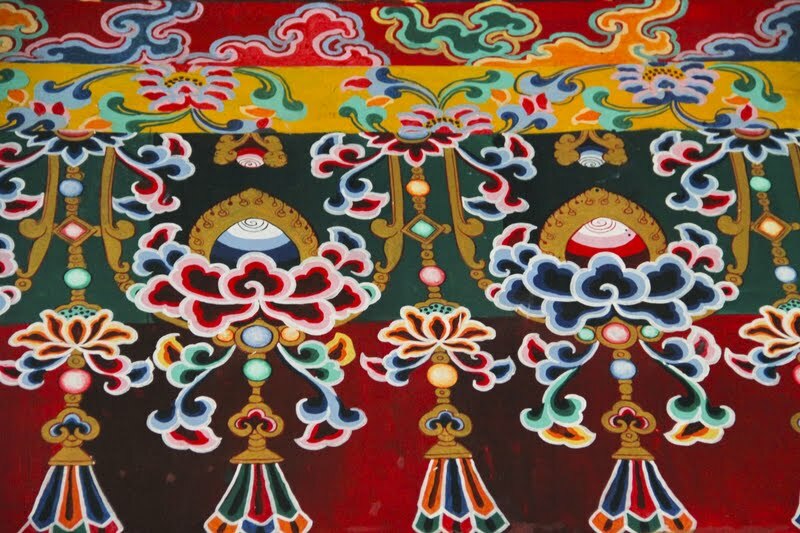 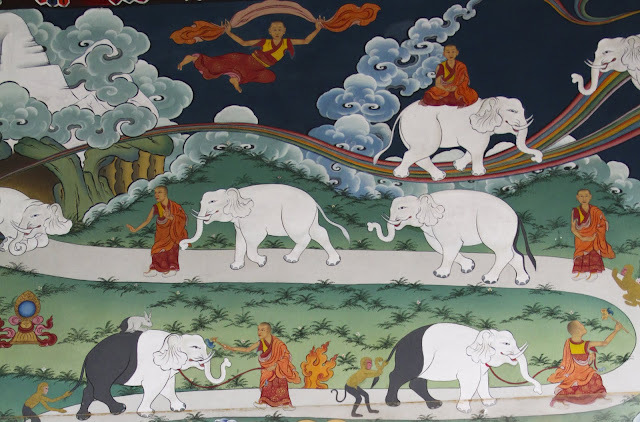 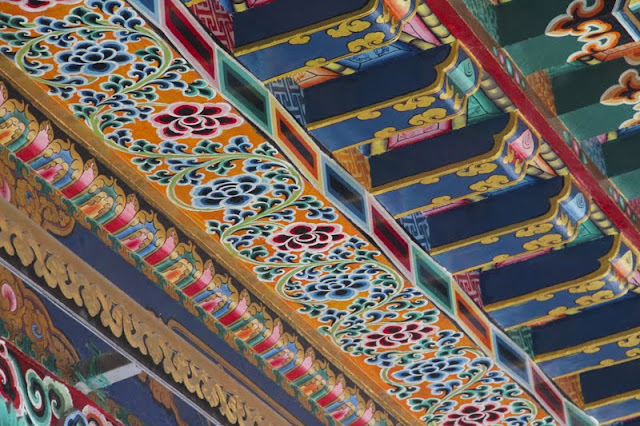 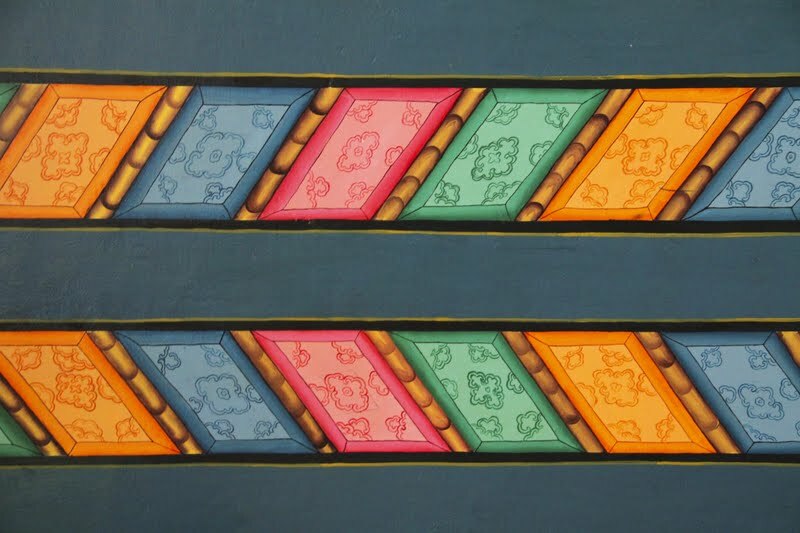 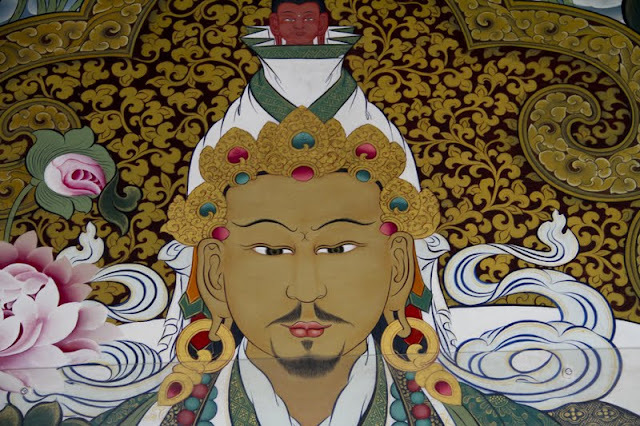 Decorating the outer walls of the Library complex are these brightly coloured examples of Buddhist art. 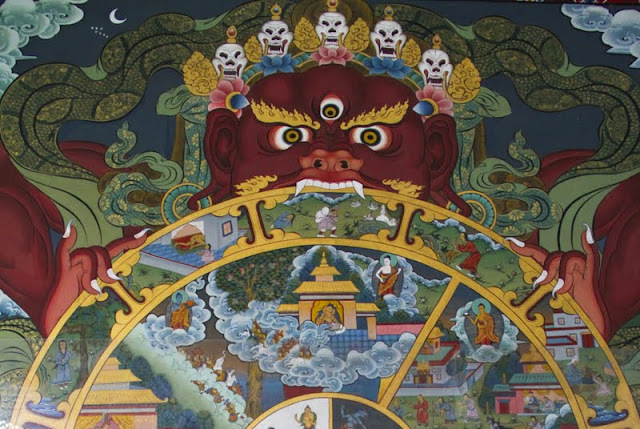 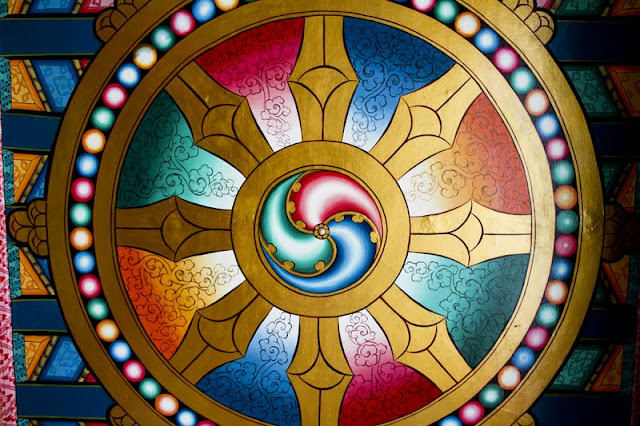 Directly above you can see a bhavacakra, a painted, symbolic representation of saṃsāra (cyclic existence)) and if you click on the link below you will also find some examples of the Buddhist Wheel of Life. Hopefully these will give you a little breather from all the Indian aesthetics I've been bombarding this blog with up until now, as well as a little taster of what is to come from Nepal where I shall be heading in just over a week!